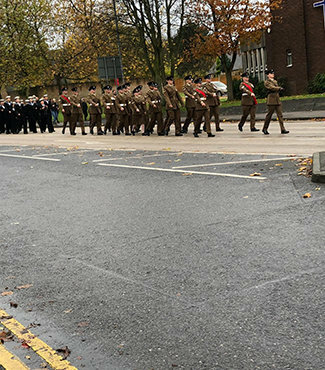 Sunday 11 November 2018 was Armistice Day, and the 100th Remembrance Sunday to commemorate the contribution of British and Commonwealth military and civilian servicemen and women in the two World Wars and later conflicts. 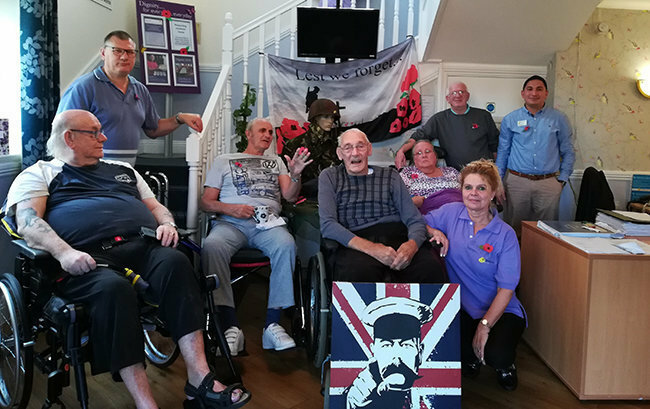 To mark the occasion, many of our residents took part in activities and gatherings, and we wanted to share some of the special memories of the day with you all. 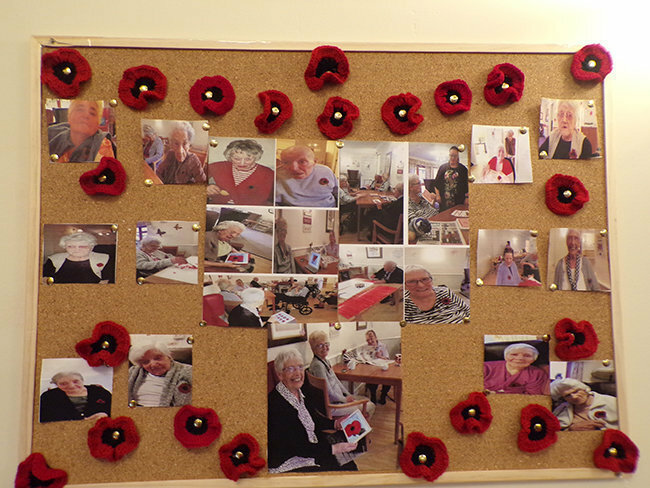 At Maun View, they held arts and crafts afternoon to create their lovely Remembrance Day display. 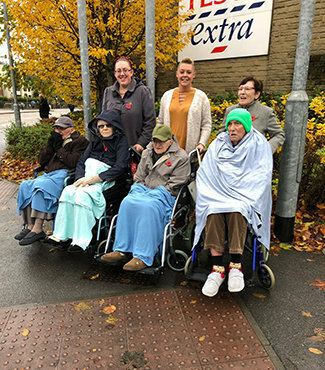 Activity Coordinators, Laura Storer and Cara Sims, together with volunteers, Phil Duncan and Reece Sims took some of the residents to see the parade through Mansfield. A lovely time was had by all, despite the wet weather. 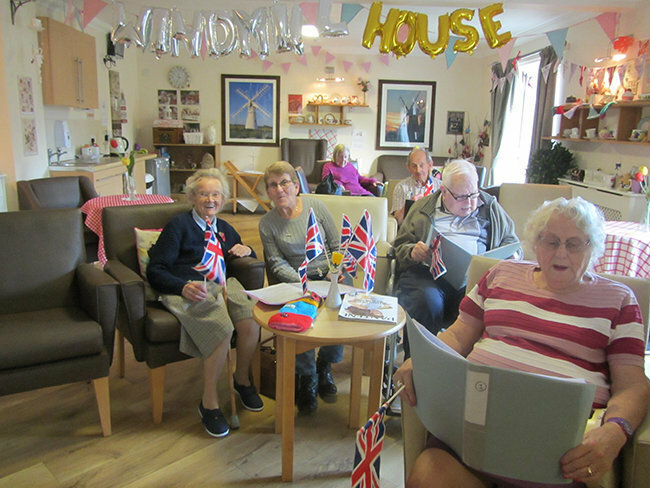 Residents and staff from Chelmunds Court were part of St Andrews Church Service, which took part in Chelmunds Court Village Centre. 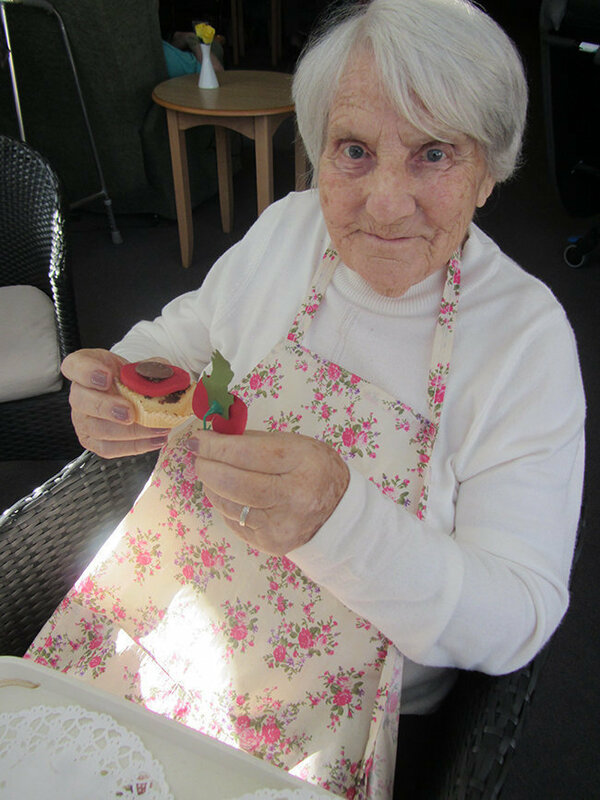 For residents who were unable to attend, they were joined by staff and family in the church view lounge with tea and cake and participated in the service. 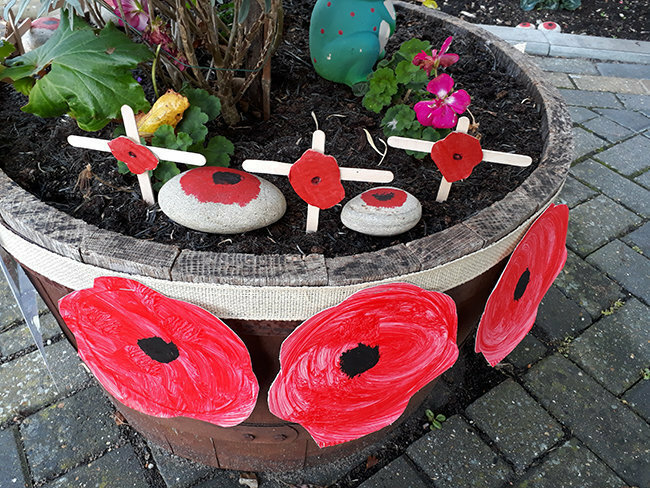 Poppies was available for everyone. 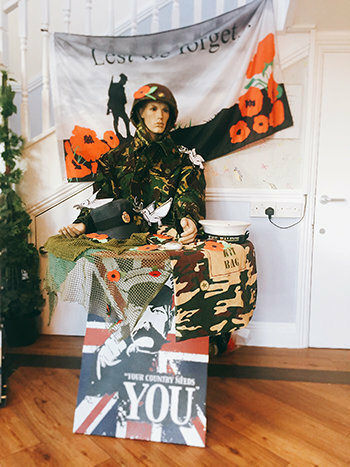 The team at Carolyn House created a Remembrance display in their reception area to be seen by all residents and visitors to the home. 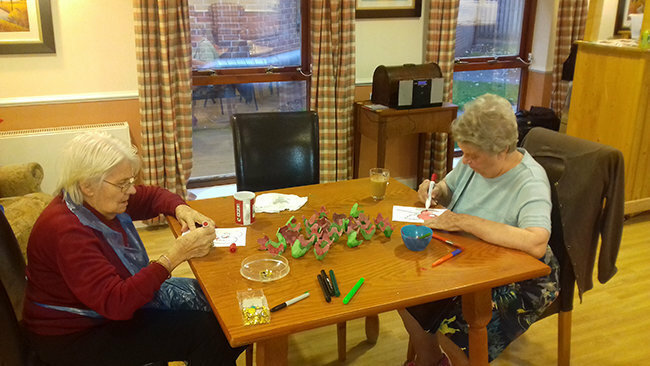 At Jubilee Court care home with Nursing in Hucknall, residents and their relatives, along with staff, have knitted hundreds of poppies over the past couple of months to commemorate 100 years since the end of World War One. 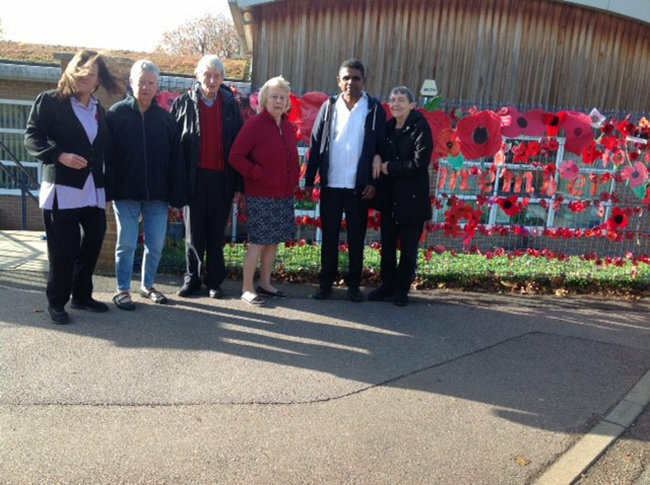 Dina Rodrigues commented that it has been a fantastic way of bringing the community together to pay their respects to those that have fallen. 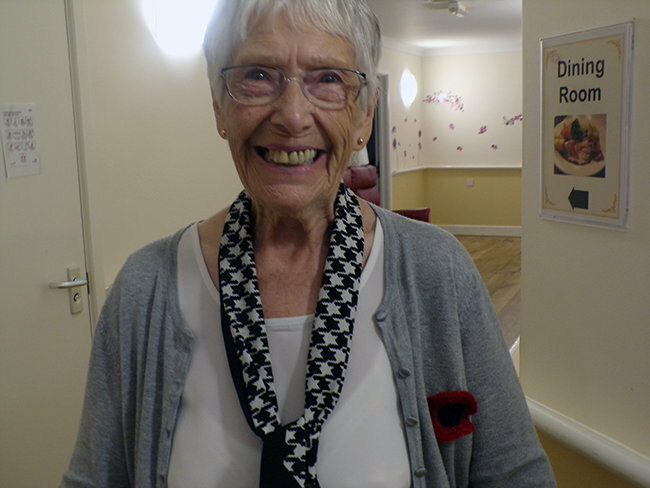 Our residents have thoroughly enjoyed working on the project and wearing their poppies as well. 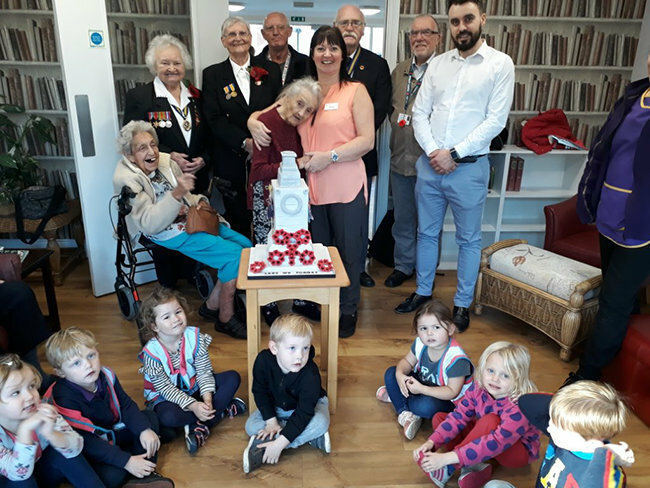 A garden display was created at Windle Court the home have been given an amazing Remembrance cake from local British Legion representatives; Marg Forder, Chaz Forth, Joan Barons, Bob Bell, Bill Pohl and Bruce Whetnall – this was a lovely surprise for our residents. Twizzletop Nursery School children also visited the home. 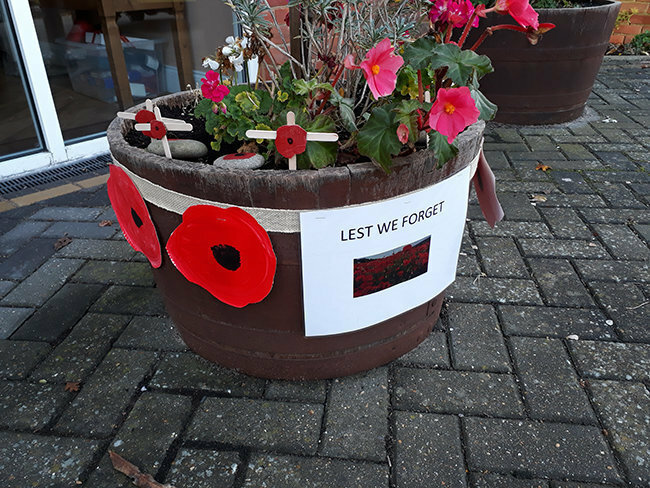 Whilst out on their walking trips, the Victoria House members came across a beautiful display for Armistice Day.